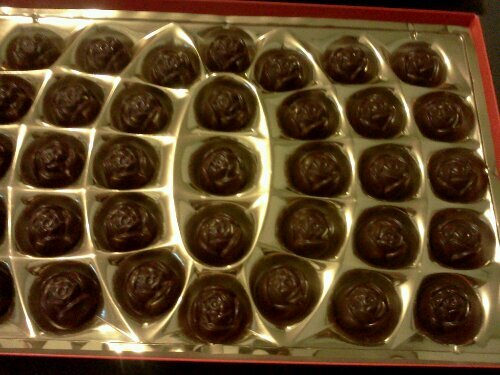 For those of you who might have trouble seeing, they’re shaped like roses. I also finally finished reading the book I was in the middle of for two months. Now on to The Summer Book, which seemed like an appropriate book to read at the end of spring. And before you say it’s basically summer, actually, no, it’s still spring until later in June. Read your calendar. I picked up The Summer Book for $3 at the Brattle Book Shop. For more on that, take a look at this post from my other blog. And hey, I just found a New York Review of Books bookmark stuck in it! Bonus. I still haven’t written anything… at all… with an actual narrative… for a pretty long time. I am rather sad about it and I’d like to say that I will be changing that soon, but… yeah, see my post about being that falling kitten. In other, perhaps more relevant news, I started taking an online writing course… and decided not to finish it after two weeks. I got the feeling that I would not actually learn anything unless I spent a lot of time in the discussion forums. I had a lot of other things in my life that needed attention, and I wasn’t prepared to give up my free time to a pursuit that involved neither enjoyment nor official obligation. I tried, the class didn’t meet my needs, so I didn’t see a reason to continue. However, I still think that it would be good for me to have a structured writing platform. Or… some other word. See what’s happened to me? Well, I hope you have some chocolate to enjoy. I’m going to sit around and dream of a chai latte. This entry was posted in about reading, about writing, blog, writing and tagged books, chocolate, editing, gifts, online course, reading, summer. Bookmark the permalink. ← This Is Me. I am Kitten.